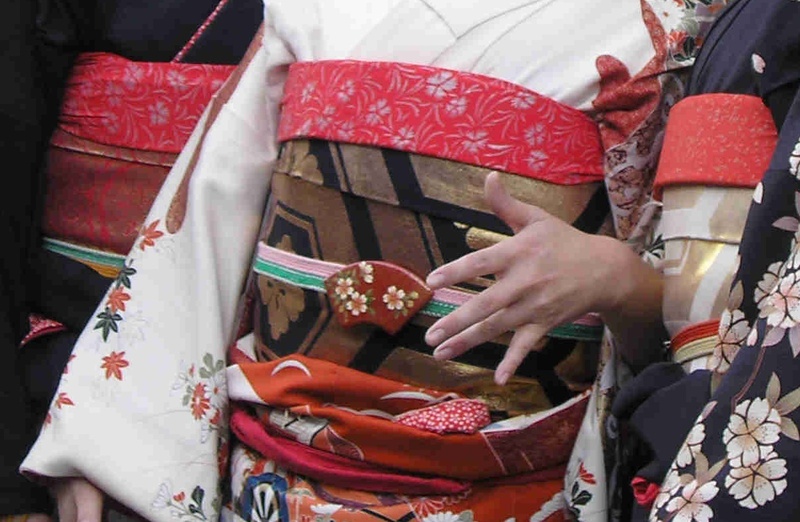 In the image below you can see some strings tied over the obi (the thick fabric band wrapped around the woman’s middle), and an ornament decorated with flowers. 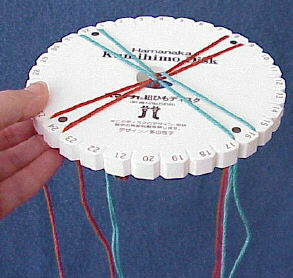 The ornament is a kind of obidome, and the narrow braided belt is an obijime. 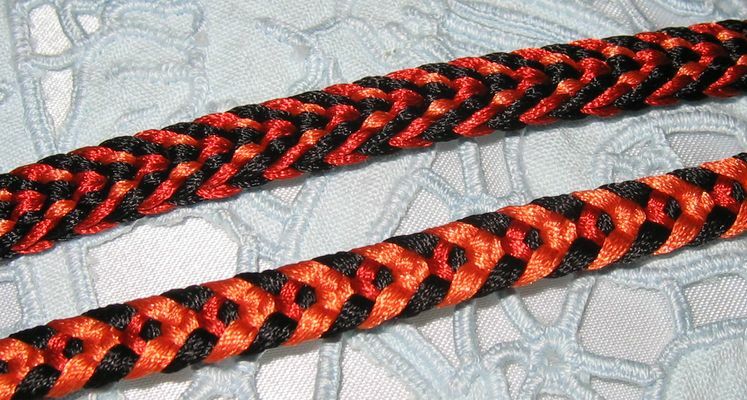 Obijime are made using the kumihimo technique. 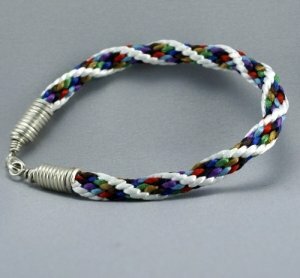 There are many different ways of braiding in the kumihimo style. Sometimes the braids will be flat, other times they will be round. 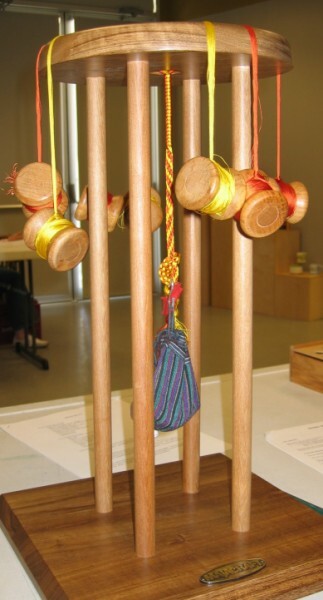 Traditionally, leaded wooden bobbins are used in the making of kumihimo. Various devices are used: marudai (circular-top stool) (below), kakudai (square-top stool with overhead device), takadai (sit-in interlace loom), or ayatakedai (warp interlink loom). Nowadays, a firm but flexible plastic disk with notches is used. 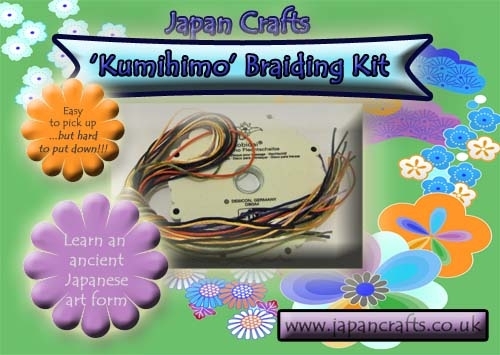 If you’re interested in trying out a bit of kumihimo, why not check out Japan Crafts’ Kumihimo Japanese Braiding Kit which is only £12.